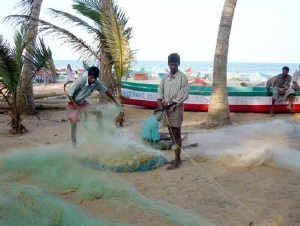 “The tsunami survivor started talking to me in Tamil saying that he had lost everything: his wife, three of his five children, his home and his boat. I could tell he just didn’t have it in him to know how to start to rebuild his life. Not knowing what to do I just took him in my arms and hugged him and then he just burst forth in tears, uncontrollable crying and grief. I too could not restrain the heartache. At last he got it out, all the pent up grief and uncertainty…came gushing forth. Six months later, Frank shared the following: “This month I was able to visit the same beach I had visited six months previously, just four days after the tsunami hit, and the change that has taken place is very encouraging. At that time I had recorded the following observation. “When I walked the beach this time, it was refreshing. It was as if life had sprung up again in the hearts of the people. 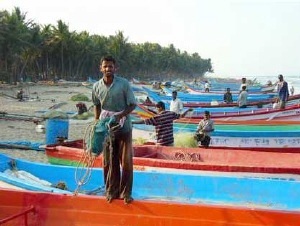 The beach, instead of its previous state of being strewn with wreckage and debris, was now full of new fishing boats. Happy fishermen attending to rows of new boats, financed largely due to targeted grants via the Family Care Foundation tsunami relief fund.